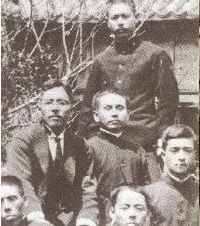 The Pinan or Heian (平安) katas were created by Ankō Itosu some time around the turn of the 20th century, aimed at the Okinawan school system, it's unlikely they were created within a single year. It's reputed that they were based on an earlier lost kata called Channan, but this may simply have been a working name for what became the Pinan/Heian katas. Itosu was a scholar of Chinese literature, and the naming of the katas likely reflects this. In Japanese the two characters (平安) are pronounced Heian and in the Okinawan dialect and in Chinese they are pronounced Pinan or Pingan. The Japanese translation of the name is approximately "peace and tranquillity" while the Chinese translation of the same characters is approximately "safe and sound". If this is the case then it's likely the name of Channan would also have had a similar sentiment in Chinese. 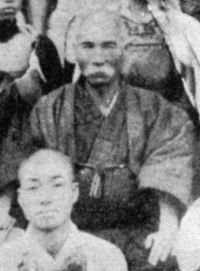 Itosu continued teaching the Pinan katas until he died, and it is notable that there are some minor differences between the versions of the katas taught to those students who learned from him in his 40s and those who learned the katas from him in his 70s. The Pinans are often seen as beginner katas. To some extent this is true, they are simpler to learn than the more complex katas which are typically taught later. The embusen is more structured, consistent and they are simpler to decode also; the drill sequences are far easier to find and define within the Pinans than later katas such as Passai/Bassai-Dai or Kusanku/Kanku-Dai because they very often run the same sequence both to the left and the right hand sides, it's relatively easy then to delimit the drill sequences within the kata. Also, the third sequence after the left and right examples is usually related technically. For example Itosu shows how to perform a technique to the left and right of an opponent, and then shows a variation which should work from the front. The katas are relatively "young" at around 100 years old so there has been relatively little time for them to become "corrupted". Some of the more advanced katas are several centuries old at least and it is more likely for "information corruption" to have been introduced. Deals with lower arm grips where the opponent has gripped the arm using their own arm on the same side. The methods held within are mostly shoulder locks of various types. Deals with lower arm grips where the opponent has gripped the arm using the opposite side arm, so the grip cross the bodies of both attacker and defender. It deals mostly with unbalancing and takedowns. Seems to be the "overflow" kata from Pinan Shodan, continues with some additional shoulder locks and the whole second half of the kata deals with how to escape from a bear hug. Would appear to be the miscellaneous kata. The one where Itosu put things which were important enough to include, but which didn't quite fit into the earlier katas for some reason. The more advanced katas are not so simple to "decode", but starting with the Pinans is very good practice for the later katas. However the techniques coded into the Pinans are certainly not "beginner" techniques or indeed techniques for children. Like all karate, they are quite dangerous. Example: The very first technique from the first kata is designed to dislocate an opponent's shoulder.